Looking for a Used 570S in your area? CarGurus has 232 nationwide 570S listings starting at $144,995. McLaren has long been a household name among racing fans, but for much of the company’s existence, there hasn’t really been anything street legal with a McLaren badge on it. One exception had been the legendary F1 supercar, but barely 100 examples were built, and they all carried a monumental price tag. The introduction of the MP4-12C in 2011, however, brought in a new era for McLaren, as the company began to produce a real production model in significant quantity. Ever since, McLaren has been slowly but surely expanding its model range and becoming something of a volume supercar manufacturer, a bit like Lamborghini. Pivotal to McLaren’s volume manufacturing is what it calls the Sports Series, the first of which is the 570S that was unveiled at the New York Auto Show earlier this year. This Sports Series sits on the bottom of McLaren’s three-tier range that also includes the Super Series and the Ultimate Series. The 570S sits one step below the 650S (the successor to the MP4-12C) and shares plenty of design cues as well as mechanical bits with it to give all these new McLarens a somewhat standard look across the model range, and that includes the flagship P1. Although priced below the 650S, the 570S is actually 18mm longer and 187mm wider than that car. It starts at $185,000 and goes up against established performance machines in this price range like the Audi R8 and Porsche 911 Turbo S. Like those cars, the McLaren is also meant to be a supercar you can use every day. Anything built by McLaren can’t afford to disappoint performance-wise, and the 570S certainly doesn’t. McLaren’s 3.8-liter twin-turbo V8, which is based on the one already used in the 650S and the P1, delivers 562 hp and 443 lb-ft of torque in 570S spec, enough to push the remarkably light (thanks to a carbon-fiber tub that weighs just 180 pounds and heavy use of aluminum in the bodywork) 2,895-pound midengine rear-wheel-drive coupe to 62 mph in 3.2 seconds and on to a top speed of 204 mph. This makes it a member of the 200-mph club, something some of its rivals can’t boast. The power drives through a 7-speed dual-clutch gearbox with paddle shifters, and fuel economy should be somewhere in the mid-20s. Carbon ceramic brakes come standard on the 570S, as do sticky Pirelli P Zero Corsa tires. Like any usable modern supercar, the 570S also has driver selectable modes that tweak suspension settings. These modes are Normal, Sport, and Track. Luggage space is supposedly more ample than it looks, and entry and exit are relatively easy from the cockpit. McLaren claims luggage capacity will be best in class, but of course the established competition hasn’t exactly set the bar very high in the storage-space department. The 570S gets the same IRIS touchscreen infotainment system we’ve seen in other McLarens. In this case, it operates on a 7-inch screen. The system is not an industry favorite and has had some glitches in the past, but people don’t buy a car like this for touchscreens and cell-phone compatibility. For audiophiles, a 12-speaker Bowers and Wilkins premium audio system will also be available. For now, only one version of the 570S is available, but it’s reasonable to expect a Spider version in the future as well as several special editions, and a recently introduced 540C model is a slightly cheaper, detuned version that will be sold alongside the 570S. The car is central to the growth of McLaren, which aims to move from producing 1,800 cars a year last year to as many as 4,000 a year by 2017. 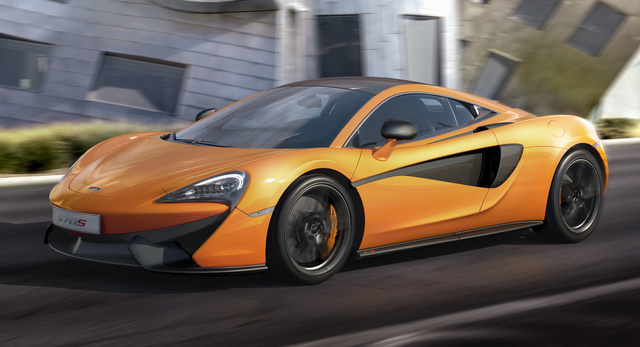 What's your take on the 2016 McLaren 570S? 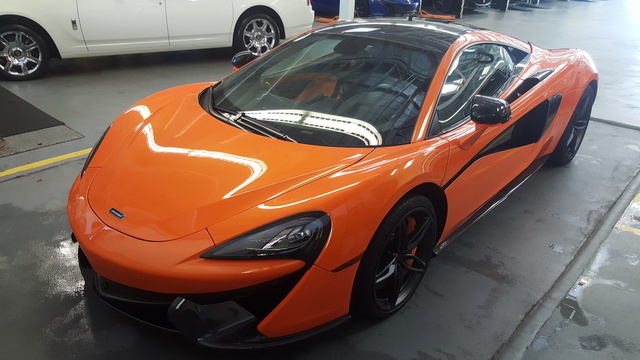 Have you driven a 2016 McLaren 570S?